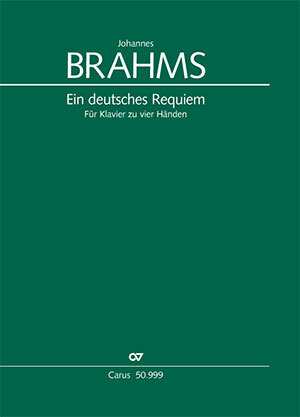 This edition is a purely instrumental arrangement by the composer with which the work can be performed alone, without vocal parts, on the piano in domestic music-making. 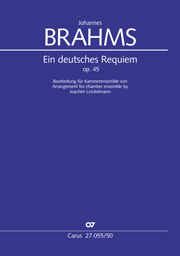 The vocal parts are incorporated in such a way that they blend seamlessly into the piano writing, sometimes acquiring a different musical color when transposed to a different octave. 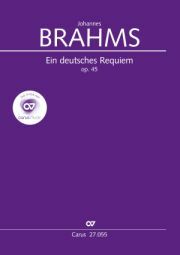 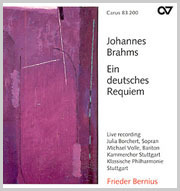 For performances of the work with voices and accompaniment for two pianos, please refer to the arrangement of the work by Brahms’s contemporary August Grüters (1841-1911, published as Carus 23.006/03).